Vanity Fair jumps out of this list as a great Victorian novel, written and published deep in the middle of a great age of English fiction. Indeed, so commanding was Thackeray at the height of his powers (some say he never wrote as well, or as sharply, again) that Charlotte Brontë even dedicated Jane Eyre (no 12 in this list) to the author of Vanity Fair. One hundred years after the publication of Clarissa (no 4 in this series), Thackeray not only revels in the possibilities of the genre, he even illustrated his own work with some decidedly inferior woodcuts. Vanity Fair was published in serial form (including some memorable cliff-hangers, for instance Becky Sharp's revelation of her marriage to Rawdon Crawley) from January 1847 to June 1848. Thackeray, on top form, cheerfully exploited an ebullient tradition, transcending all his previous efforts as a writer, novels such as The Luck of Barry Lyndon (1844). Early drafts of the book, which had the working title "a novel without a hero" lacked the all-important figure of William Dobbin, a thoroughly good and likable character who owes much to Thackeray himself. "Vanity Fair", a title that came in a eureka moment to the author in bed one night, actually derives from Pilgrim's Progress (no 1 in this series) and refers to the fair set up by the devils Beelzebub and Apollyon in the town of Vanity. Unlike Bunyan, Thackeray was hardly a die-hard Christian, but rather a man who relished a life of pleasure and luxury, and who, on the evidence of his letters, found much of the Bible either ludicrous or distasteful. 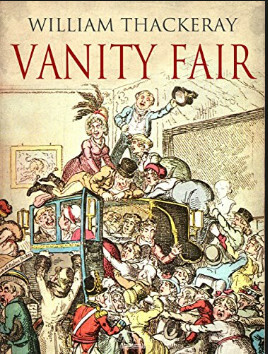 As a title, however, "Vanity Fair" set the tone of the novel in its depiction of a society, rather as "The Bonfire of the Vanities" did for Tom Wolfe (who also illustrated his own work) in 1987. Thackeray's intention was satirical and realistic. Writing mid-century, he set his masterpiece in Regency England during the Napoleonic wars, intending the lessons of his tale to be applied equally to his own times. In contemporary terms that would be like a modern literary novelist setting their scene during the second world war, or the blitz. The climax of the novel comes with the battle of Waterloo. Unlike Tolstoy, whose War and Peace was influenced by Vanity Fair, Thackeray was squeamish about military matters, and chose to leave most of the fighting off-stage. This makes the irruptions of violence all the more shocking, as in the death of George Osborne, "lying on his face, dead, with a bullet through his heart" on the field of Waterloo, which occurs almost exactly halfway through the narrative. Thackeray was highly conscious of his audience and repeatedly breaks off from his story to buttonhole and tease his readers ("the present chapter (8), is very mild. 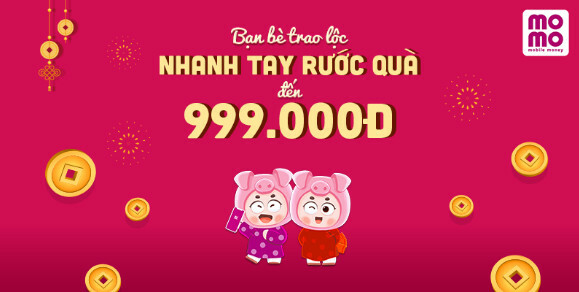 Others – but we will not anticipate those"). The tale, however, will not be denied for long. Upwardly mobile Becky Sharp, and her sweet, devoted friend, Amelia Sedley, are perfectly matched by the caddish rake, George Osborne, and clumsy, decent William Dobbin. The social trajectory of each pair gives the narrative an almost perfect symmetry. The key to the novel's magic, in addition to the delight it takes in the Regency pageant, probably lies in the contrast between scheming Becky, one of fiction's great female protagonists and awkward, dutiful William whose unwavering love for Amelia mirrors Thackeray's own passion for another man's wife. Finally, however, for all its realism, Vanity Fair is a bravura performance by a writer who has found his theme. As the serialisation of the novel that would transform its author's reputation draws to a close, Thackeray himself concluded his tale with a nod to the gaudy theatricality of the whole business: "Come children, let us shut up the box and the puppets, for our play is played out." Vanity Fair, subtitled "A Novel without a Hero", was first serialised in Punch, then published (from the same typesetting) by Bradbury & Evans of Bouverie Street in July 1848. A revised and more definitive text appeared in 1853, without illustrations. Vanity Fair was the first of Thackeray's books to appear under his own name. As a further sign of his self-confidence, in the introduction to the 1848 edition, dated 28 June, the author acknowledges "the kindness with which it has been received in all the principal towns of England… where it has been most favourably noticed by the respected conductors of the public Press, and by the Nobility and Gentry. He is proud to think that his Puppets have given satisfaction to the very best company in this empire."